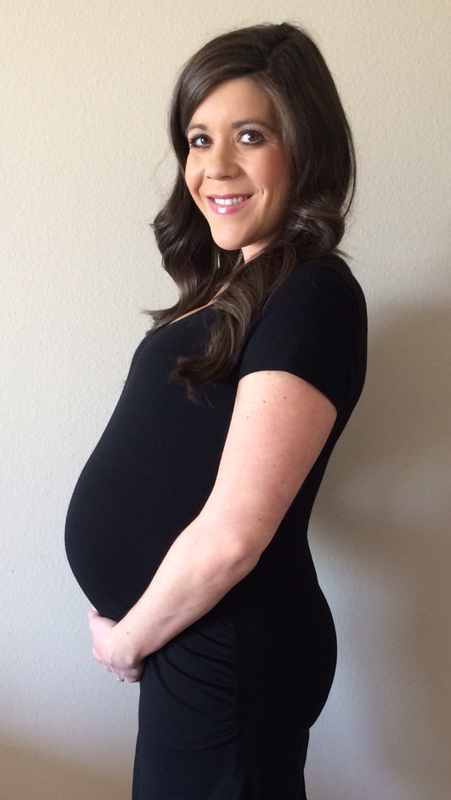 Size of Baby: Campbell should weigh 5 pounds now and be around 19 inches long, about the size of a pineapple. How I'm Feeling: For the first time this whole pregnancy I've been uncomfortable. My heartburn is miserable, I can't seem to keep food down because my stomach is so squished, simply walking up my stairs feels like running a marathon and bending over is impossible. Campbell's kicks can be painful at times, the pressure in my pelvis is sometimes unbearable and I wake up about 4 times in the middle of the night to visit the loo which is super annoying. I definitely don't have as much pep in my step as I have in the past and I'm crossing my fingers it's just an off week. Cravings/Appetite: Pretty much everything I eat makes me feel terrible. Even a plain ol' bagel for breakfast gives me heartburn. I consider it a success if a meal stays down these days. Clothes: I can still wear a lot of my normal tops and sweaters which has pleasantly surprised me. When I first found out I was pregnant I imagined I would have to spend a good amount of money on maternity clothes but I really don't wear anything maternity other than jeans. Movement: For the last few weeks Campbell has been in the same spot but recently he's started moving all over the place again. It is seriously so crazy to watch my stomach when he's moving. It now looks like ocean waves are rolling all throughout my belly. It could keep me entertained for hours. Changes in Me: I have become a drooler during my sleep. I wake up in a puddle and have to flip my pillow over because it's so wet. Scott tells me I snore in my sleep now too. I have no idea what this is about but apparently it's very common later in pregnancy so I guess that makes me feel a little better about myself. 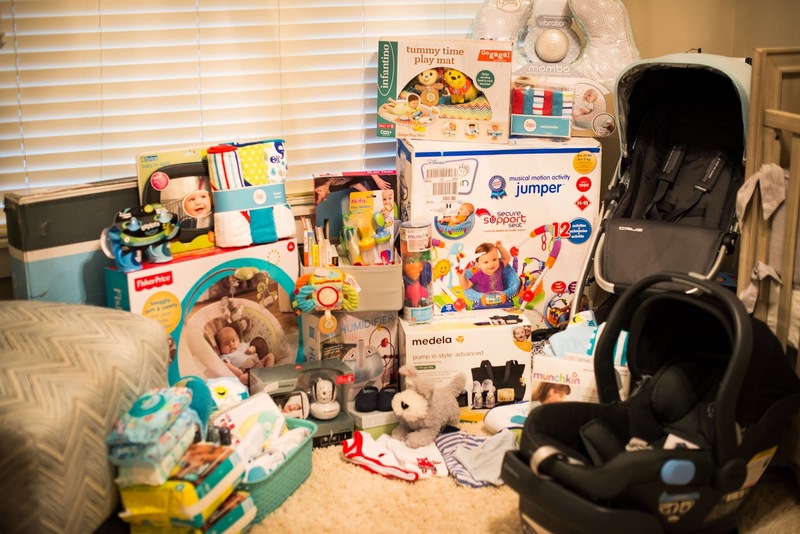 Baby Purchases: I didn't make any purchases this week but I received an awful lot of goodies from my baby shower on Saturday night! Favorite Moment This Week: My baby shower was definitely a favorite moment from this week. Another fun thing I did this week was wash all of Campbell's stuff and got it all ready for when he arrives. I underestimated how long it would take me. Clothes, blankets, sheets, towels, bibs and burp cloths, mattress pad covers and changing pad covers....it took me 2 full days! It was the most fun I've ever had doing laundry though. I'm using All laundry detergent for baby and it smells so good! Looking Forward To: Campbell "dropping." I know it will make me feel so much better. Please Lord let it be this week. Kara, I just love your updates! It gives me so much to look forward to. I think we are a lot alike in the way we go about doing things and I will be looking back to see how you got ready as I get further along! Aw thanks girl!! Congratulations on your little one!!! I hope you're feeling great and everything is going smoothly!